Mr. A & I love ordering this dish at our favourite South Indian restaurant in London, Chennai Dosa. I am proud to say that this version of Pepper Chicken rivals the one at our beloved Chennai Dosa and is so much healthier! Do give it a try the next time you are in the mood for a spicy Indian curry. 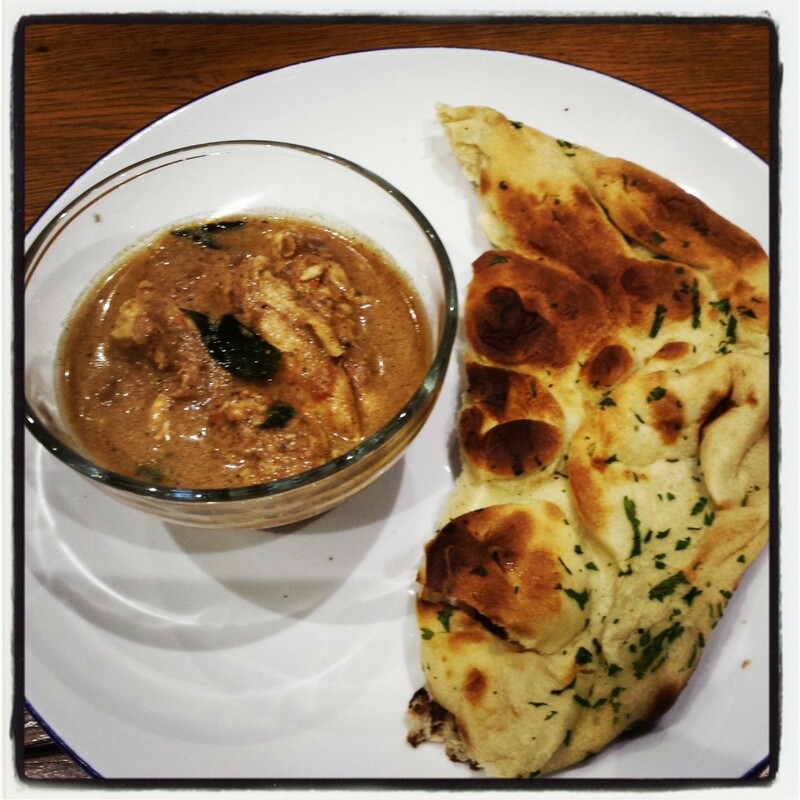 We had the Pepper Chicken with naan one night and the leftovers with rice last night – tasted fantastic both ways! Prep the chicken by marinading in yogurt, turmeric, a pinch of salt and some black pepper. Set aside for 30 mins. Fry all the hard spices (listed under spice paste) in 1 spoon oil for 1-2 mins and then take off heat to cool. Blend into a paste adding a little bit of water if required. 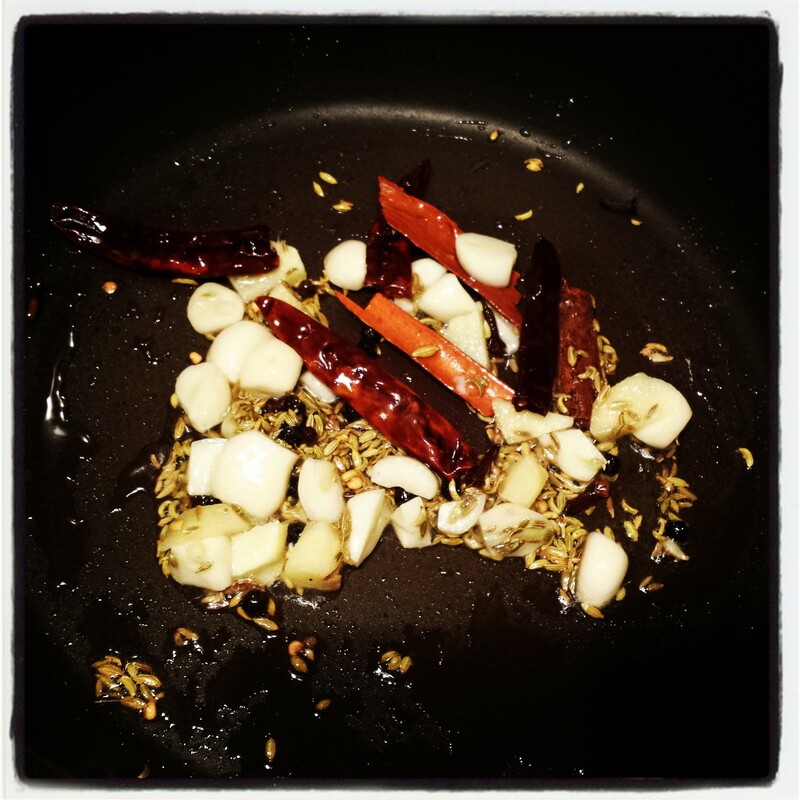 Fry onion, chilli and curry leaves in 1 spoon of oil until the onions are soft. Add the blended paste and mix together to cook for a couple of minutes. Add the tomato puree and cook for 5 minutes. Feel free to add more water to reach your desired consistency. Add the chicken and mix well with the gravy. Season to taste with salt and simmer on low heat with the lid on for 8-10 mins until the chicken is cooked and tender. Gobble it up with some naan or rice! Be warned: this Pepper Chicken is spicy so definitely tone down (or up!) the spices to suit your tastes. Hi! Yes, definitely try it out – I think you will enjoy it! Yummy! Looks amazing. This is definitely on my list of recipes to try out.